So many people over the course of the last few months have told me how they wish they could travel, but can’t because they “don’t have enough time”. And all I can ever think of is, if you really wanted to do it, you would’ve done it by now anyway. Everybody’s got some restrictions or the other, I know. And if you want to “travel”, why does it always have to be the Himalayas or the Goan beaches? Look around you! Do some research and you’ll realise just how much you can see in such little time. Thereare just so many spots near the city, like Pushkar, that you can cover in two to three days. But would you believe me if I told you, sometimes all you need is one spare Sunday for yourself to satisfy this wanderlust thirst! Jaipur, situated just 280 kilometers from Delhi, is only one of many such places! There are three trains that start from Delhi early morning and reach Jaipur in 4-6 hours. There is the Ajmer Shatabdi, the most comfortable- but not the most economical- option. It starts at 6 am and reaches Jaipur at 11 am, while feeding you every few hours en route! 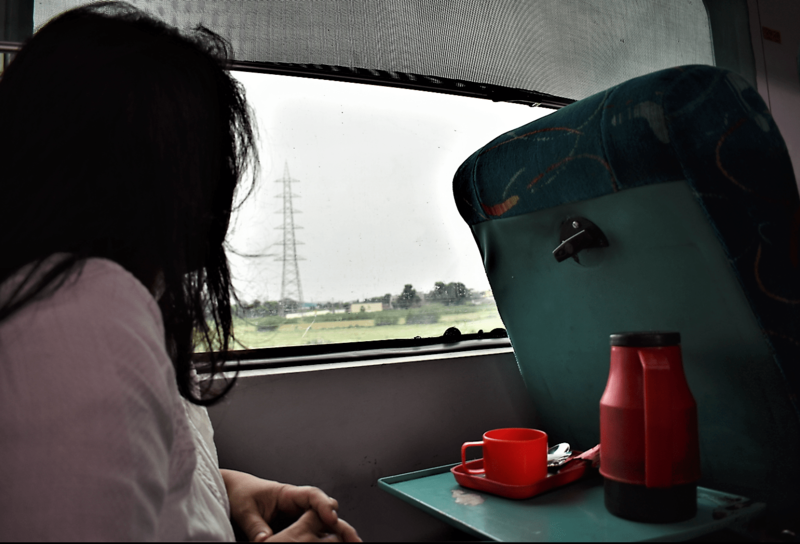 But if you are like me and have no problem in letting go of that extra bit of comfort to save some bucks, there are other trains like Jammu AII Express and Ranikhet Express with the second seating class that costs less than half, and take around the same time. 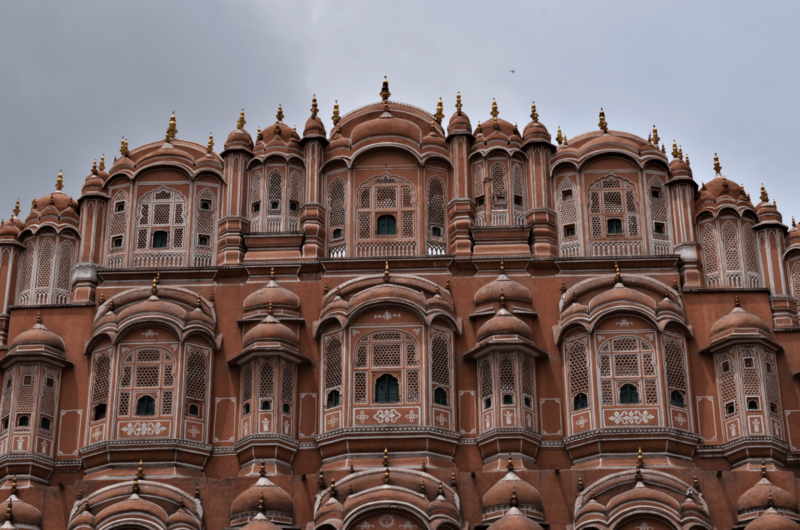 After landing in the Pink City, head straight to Hawa Mahal for some sight seeing and photo ops. This won’t take you more than half an hour. I personally found the fort to be quite underwhelming, but Jaipur without Hawa Mahal isn’t Jaipur at all! Pro Tip: If you’re a student in India above 12 years of age, don’t forget to carry your institution’s identity card, and you’ll get the entry ticket for just 5 rupees! For a quick snack overlooking Hawa Mahal, head over to this unassuming little cafe with a modest seating, but a great view of the fort. Now it’s time to shop for some bandhani print dupattas, skirts and kurtas for yourself, along with some Jaipuriya juttis to go. Once you’ve put your bargaining skills to good use, and are exhausted with all the money spending you just did, you should spend just a little bit more and refresh yourself with some kachoris and malpua. What momos are to Delhi, kachoris and malpuas are to Rajasthan. So if you come back without relishing at least one plate, it’s a shame. 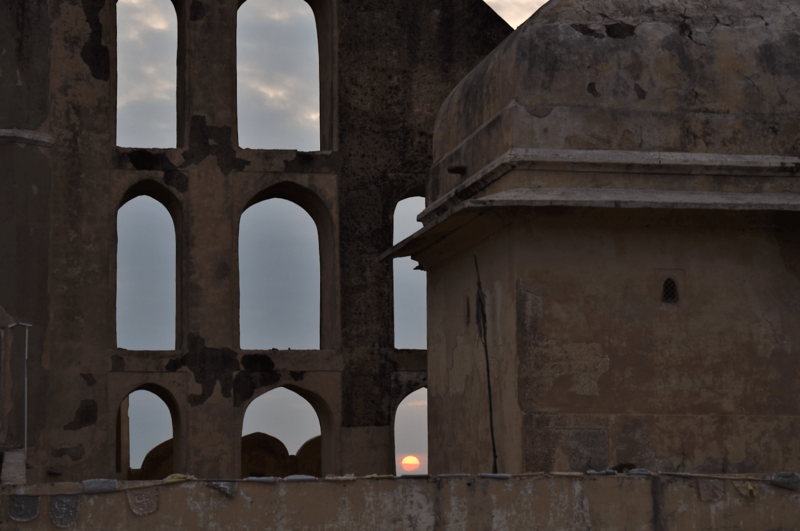 Nahargarh Fort is situated on the outskirts of the city, up on a hill. While you’re on your way to the Fort, you can make a stop at Jal Mahal which is en route Nahargarh Fort. 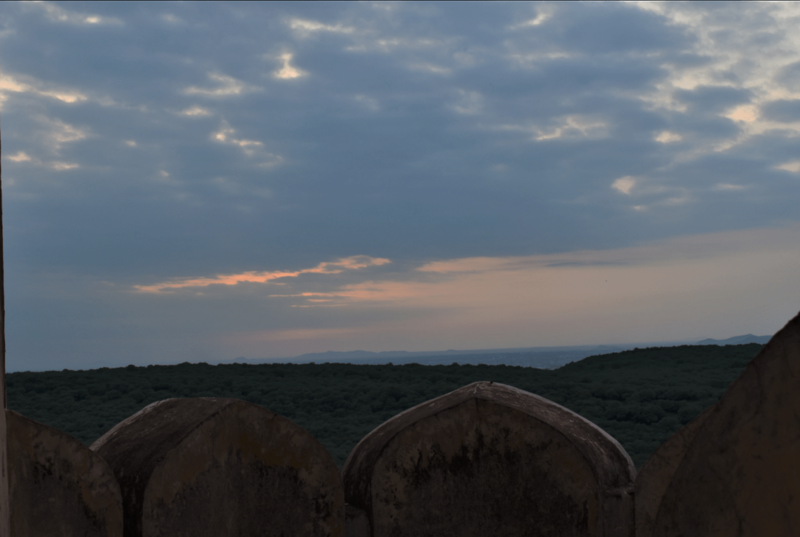 The sunset from the Fort is spectacular to look at. With the entire city in view from up there, it makes for one of the great places to just sit back and relax. Pro Tip: The entry to Nahargarh Fort closes at 4pm. So if you’re interest in going inside, make sure you time yourself accordingly. Otherwise, the road that leads up is always open and there are breathtaking views nonetheless. 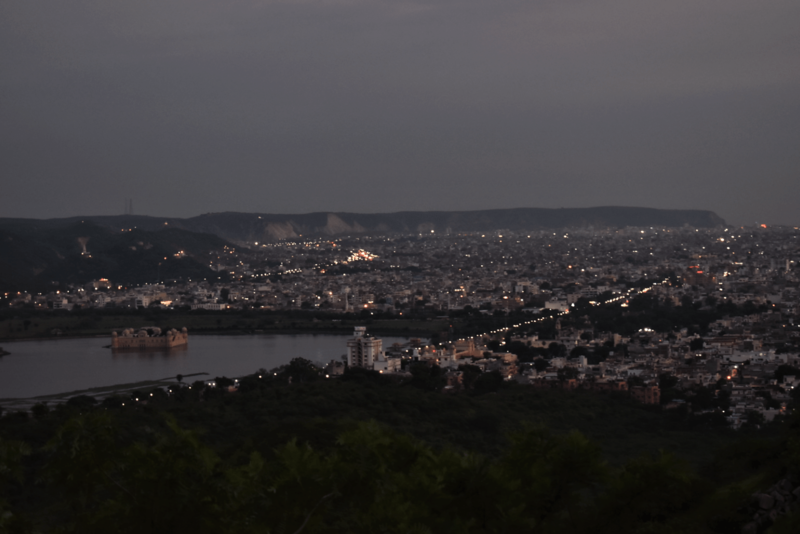 If you want to spend some time on a breezy evening, Jal Mahal after sunset is the place to be. With the lit up fort situated bang in the middle of the lake, with cotton candy and tea sellers flocking all around, it is a great way to spend an evening. And with this being the last leg of your day at Jaipur, some peaceful unwinding by the lake is must before you head back to the hustle bustle of your everyday life! The railway station is 12 kilometres from the fort. The most feasible trains would be the Rajasthan S Kranti or the Haridwar Mail that start from Jaipur at 12:25 am and 11:15 pm respectively, and take 5-6 hours to reach Delhi, letting you resume with your daily life in a jiffy! Any other things I might’ve missed out on that are a must-do in Jaipur? Let me know in comments! I have been on a ’12 months, 12 destinations’ mission since January this year. If you’d like to know more about it and follow up with it, hit me up on my Instagram!